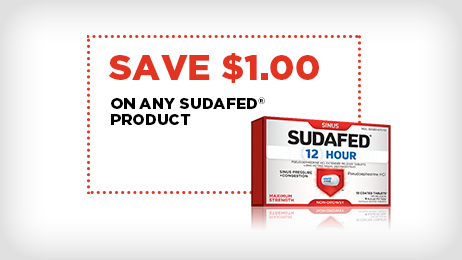 Long-lasting SUDAFED® 12 Hour Pressure+Pain. Find it behind the pharmacy counter. I suffer from all season allergies. Since the pharmacy decided to remove my previous precrisciption containing sudaphed in it, I have been buying this and another store brand every 20 days! There is nothing that matches the quality and helps me breath without my sinuses clogged up Better! I definitely recomend this product to anyone who has any dust, animal, outdoor or any allergies! Sudafed Pressure and Pain is outstanding. It has helped me get over many days of allergies and sinus pressure. 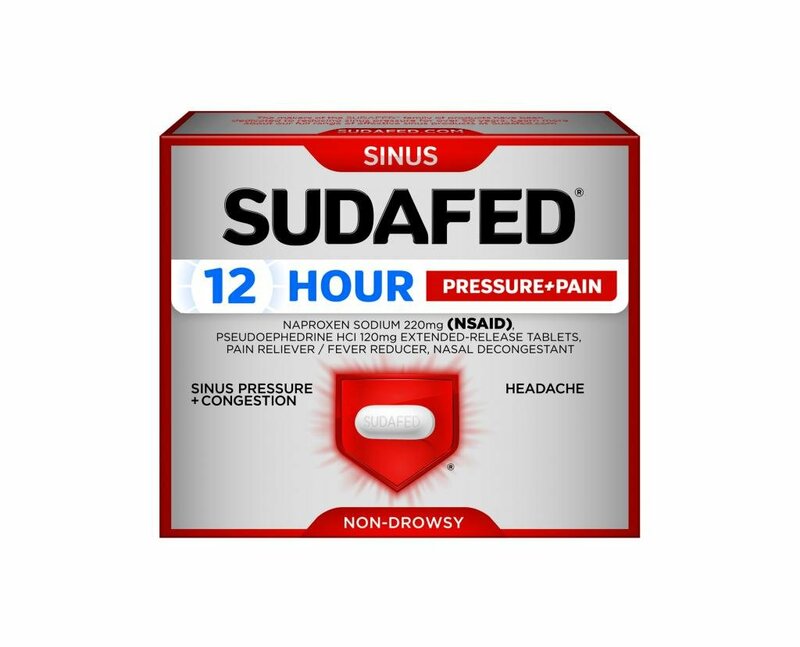 I get really awful sinus headaches throughout the year and sudafed does an amazing job of helping me relieve those symptoms fast! This is an amazing product to use from a mild cold symptoms to severe colds and allergies. Within in 30 min to an hour you'll be feeling a lot better. I've used these products on several accounts and each time I've had satisfying relief of whatever symptoms I was suffering from. I recommend this product to my friends and family all the time. I always know this product will take my sinus headache far away!